Sally’s Cafe and Bookstore – Summer #Book #Sale – Brigid P. Gallagher, Hugh W. Roberts, Jacquie Biggar and Victoria Zigler. Posted on July 9, 2018 by Smorgasbord - Variety is the Spice of Life. Welcome to the first of the Summer Sale posts with discounted books by authors on the shelves of the Cafe and Bookstore. There are four sale posts scheduled, today, 13th, 16th and 20th of July, and if you have a book that is currently on offer at a discounted price, I still have two spaces left for the July 16th post. On with today’s sale post. The first author with her book on sale is Brigid P. Gallagher for Watching the Daisies: Life Lessons on the Importance of Slow – on offer at .99p on UK – 99c (+tax) US. I began following a blog entitled Watching the Daisies earlier this year shared by Brigid P. Gallagher and discovered she’d also written a book, Watching the Daisies: Life Lessons on the Importance of Slow a few years ago. I purchased Ms. Gallagher’s holistic memoir last month and dropped it into my reading queue this week. It came at a great time and helped provide a few clear reminders we should all remember when things get too complex or tough. Life can be difficult, especially when we encounter illness, pain, and death. It can also be wonderful when we meet new friends, fall in love, or share our days with family. Ms. Gallagher covers it all in this ~50 year memoir of many key events that occurred in her life. One of the biggest impacts I felt from reading her personal insights and history is an acute awareness of how lucky many of us are to have little to no physical pain or be raised by two loving parents who hadn’t died young. The author spent lots of time in hospitals, surgeries and doctors trying to diagnose symptoms that ultimately took a rather long time to discover. Along the path, Gallagher shares her home remedies for dealing with the pain, both mental and physical, as her career develops and she travels throughout the world studying and learning about different medicines, approaches and healing powers. I enjoyed reading about the path she took and felt sadness and happiness with each of her own ups and downs. From losing family members she loved, to moving back and forth from Ireland and Scotland, to adopting and saying goodbye to many pets, Gallagher shares all the occasions in life that help craft who we are as people. We can face our obstacles with our head held high or sneak away letting no one help us. Gallagher teaches us about medicinal, herbal and other holistic healing options, teases us with trips we want to take in the future, and offers ideas to explore in our own lives on how to be happier and healthier. I next saw the bravery in this woman for not only living through many of the ordeals she’s experienced but in sharing them with readers like me who may have little or no knowledge about the difficulties of a disease or the unknown forces impacting our bodies. The book is an easy-read with memoir moments, teaching opportunities, and whimsical thoughts. Some hit home for me, others were just a laugh or a nod of my head in acknowledgement of what the author’s been through. In the end, it’s the kind of book where you have a few hours to breathe the same air as someone else, learning how she would deal with all the curves and fun being thrown at her. Stepping out of my own shows is always a good thing as it helps provide perspective and alternative opinions and ideas. Kudos to Gallagher for sharing such a wonderful life journey with us… I can only hope she’ll share the second half of her life sometime in the future as it sounds like she’s got a lot more planned as accomplishments. The next author with his short story collection Glimpses on offer is Hugh W. Roberts, on offer at .99p on UK – 99c (+tax) US. After publishing some of his short stories on his blog, Hugh W. Roberts, who is dyslexic, received numerous requests to publish his short stories in a book. Here, at last, are 28 short stories that will take your mind on a roller coaster of a ride into worlds that conceal unexpected twists and turns. ‘Glimpses’ allows the reader a peek into the lives of everyday people who are about to have life lead them on an unpredicted path. From a mysterious deadly iPad app to a hole in the fence that is not all it seems, to a strange lipstick that appears to have a life of its own, you will encounter terror, laughter, sadness, shock and many other emotions on journeys which promise a thrilling and gripping climax. If you are a lover of shows such as ‘The Twilight Zone’ and ‘Tales Of The Unexpected’, then you are in for a real treat with this first collection of short stories from Hugh. I found Glimpses by Hugh W. Roberts to be quite a unique book. It is a collection of short stories, mainly written along a supernatural theme. I am a great lover of supernatural and horror books and have been avidly reading Stephen King since I was ten years old, so this was right up my street. I had two absolute favourite stories/groupings of stories in this lovely book. My outright favourite was The Truth App which I read twice. It is a collection of a few short stories all in the same theme and it really “creeped” me out. Maybe I identified with it so much because it is all about blogging and bloggers which is a world in which I have recently become very immersed. I must say that I had to stop reading this tale in the evenings because it was giving me bad dreams. My advice to bloggers and other readers of this book, be careful what apps you choose to download! My other outright winner was a short story about a woman who goes to India to have eye and dental treatment. This one stayed firmly in my mind because it made me reflect on the fact that, even if you read the completely incomprehensible list of ingredients on cosmetic and facial and other products, one rarely has any idea of what really goes into that cream that you are liberally apply all over your face. It also summoned up horrible thoughts of articles that I have read recently about testing medications and products on animals. A story that can make you think like that has got to be superb. The next author with a book on offer for all of you who enjoy a psychological thriller, is Jacquie Biggar with The Beast Within: Mended Souls Book Two: on offer at .99p on UK – 99c (+tax) US. It’s a psychological thriller with paranormal elements that continues the story of newly-minted angels Mike and Lucas. This is the first of Ms. Biggar’s books that I have read. I can assure you it won’t be the last. Right away we get into the story where a TV news person (Julie Crenshaw) finds a severed foot still in a jogging shoe. While out walking. Instead of an annoying “let’s get to the bottom of this crime,” story we find ourselves involved in a story where we learn Julie’s husband and unborn daughter were victims in a fatal accident with a drunk film star. If that is not enough drama, we also learn that the Lord has dictated that Julie’s husband Mike and the drunk actor Lucas must become angels and form a bond to help get over the hatred they have for each other. So, does the story get easier? Not at all. There is also a serial killer on the loose and has Julie lined up as his next victim. For you romantics, there is also a love story in the making. Julie has fallen for the police detective investigating the serial killer. His name is Connor O’Rourke, and he has fallen for her. Unfortunately for the two of them, Julie’s angel husband keeps watch and gives Connor some bad feelings at times. So, to sum it up. If you like your thrillers with twists. Romance stories with pizazz. Paranormal stories with unusual characters and situations you’ll love this book. I know I did. Now it is time for a great 50% promotion for all of Victoria Zigler’s children’s books on Smashwords. The discount should be applied automatically at the checkout but here is the code as a back up (SSW50)..That is over Fifty children’s and YA books at half price. I will repeat after I have shared some of Victoria’s books. Victoria is blind so her books are also available in audio via the Amazon links. Here is one of Victoria’s books for children – Home Squeak Home. Moving to a new home can be a scary experience; especially if you’re very small. That’s how it is for Sooty and Scamp; a pair of gerbils chosen by a little boy named Matthew to be the ones to leave the pet shop and their other two brothers to go home with him. Most people agree that getting a new pet is an exciting experience for any child; or adult, for that matter. But have you ever stopped to wonder how the pet feels during this time? This is the story of two little gerbils, and how they learned to adjust after a little boy took them home. The story is based on the behaviour of a pair of real gerbils, and events are shown from their point of view. Jan 09, 2018 Robbie Cheadle Rated if Four Stars. When Matthew’s mother takes him to the pet store to choose a pet he ends up leaving with two gerbils. The pet store assistance had told his mother that gerbils are very sociable animals and need company, so they had bought two. How wonderful. Sooty and Scamp are a little sad to be leaving their two brothers, but they are excited to have a new, permanent home. What a home it turns out to be, so different from their old and very plain cage in the pet store. I hope this has given you an opportunity to stock up on books at a fantastic price and it would be great if you could share the #Sale by clicking a few of the buttons below. This entry was posted in Book Promotion and tagged Brigid P. Gallagher, Hugh W. Roberts, Jacquie Biggar, Victoria Zigler by Smorgasbord - Variety is the Spice of Life.. Bookmark the permalink. What a sale, Sally. Thanks to all the authors. Thank you also, for running my review of Jacquie Biggar’s The Beast Within. You do a super job, Sally. Thank you for the boost, Sally! Can’t wait to fill my Kindle with these awesome somer reads! The lovely Sally Cronin shares #books on #Sale just in time for #SummerReading! Thanks for including my books, Sally! Mine is on offer at 1.99 (it was originally 2.99) but can’t drop it any lower as I am on kindle select. Not sure if that qualifies me? I am thinking I might offer book one free when book two comes out for a limited time period but that’s a long way off! Still writing! Looking forward to it, Hugh. A fabulous selection of books on sale. Perfect for summer reading!! A great new feature and fabulous opportunities to acquire great books. Good luck to all the authors and thanks, Sally, for sharing. I agree with the others here, great selection again. If I can be so bold, since I have a long distance acquaintance with Hugh and have read his book, I’m including my review here. Thank you for that wonderful review, Chuck. It’s made my day. And you asked, ‘it’s over?’ No, not yet. The second collection will be out in the Autumn. Authors with books on sale for the next few days in the Cafe and Bookstore.. with a link to the discounted book on Amazon or Smashwords. Brigid P. Gallagher, Hugh W. Roberts, Jacquie Biggar and Victoria Zigler… time to catch up on #SummerReading. What a lovely surprise to see two of my reviews featured here, Sally. 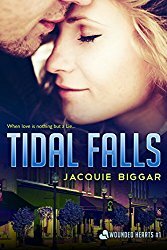 I have also read Brigid’s book and now I have this book by Jacquie as an audio book. Great selection, Sally. Some I already have, others will be going on my kindle now. Thanks, Sally. Sorry for creating such a guddle!